Chandraprabha Vati treats urinary tract disorders like (UTI), any bladder-related issues, muscle and joint pain and general weakness. 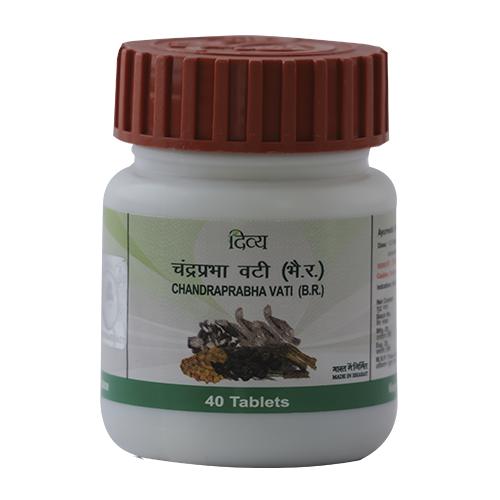 The herbal components in Chandraprabha Vati have diuretic properties which help purify the blood of toxins more efficiently and eliminates micro-organisms that cause UTIs. Its muscle relaxant properties help ease joint pains and discomfort. Some of the herbs in Chandraprabha Vati are also a natural source of multivitamins which provide strength and boost immunity. 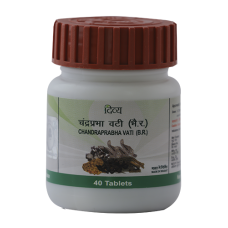 Take Chandraprabha Vati for immediate relief from burning sensation, itching or pain in lower abdomen while urinating and get lasting relief from all bladder- related problems.